Are you ready for some warm weather? Ready or not, the Vionic Tide II is here! Are you ready for some warm weather? The Vionic Tide II Brown Leopard features the same great Orthaheel Technology and fit you’ve come to love and expect. This iconic, best-selling style now features leather trim and an updated tread pattern. The Tide II has a woven toe post and a foam lined strap for a comfort fit. The Vionic Tide II Brown Leopard has a flexible medium density EVA midsole that absorbs shock, reducing stress on feet, ankles and knees. 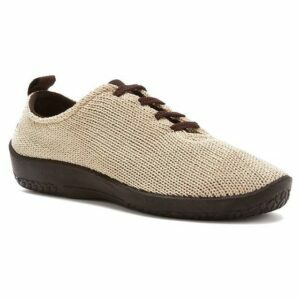 Recommended by Dr. Andrew Weil, you will find this shoe to be just right for many foot ailments. The Tide II has also received the APMA Seal of Acceptance.